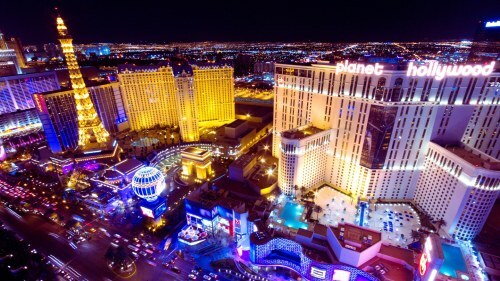 WestJet has dropped the price of their non-stop flights from Hamilton to Las Vegas down to $259 CAD roundtrip including taxes. There are only Monday to Friday or Monday to Monday trips available. You can find other Monday to Friday flights in the rest of February, and in March, and April for $291 CAD roundtrip. 3. On Priceline, the price will show up as $200 USD roundtrip including taxes. Priceline is *always* in $USD. This will work out to $259 CAD roundtrip when booked using a Canadian credit card, and including the typical credit card foreign exchange fee. westjet, flight deals, united states, las vegas, nevada, las, north america, hamilton and yhm.